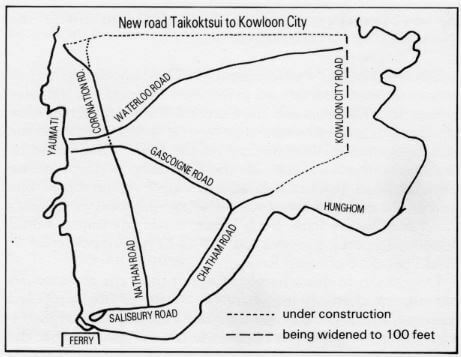 “The last in this series of proposals for extending the benefits of tramways to the citizens of Hong Kong came, not suprisingly, from the Hongkong Tramways Company (successors to Hong Kong Electric Tramways Ltd.). During an interview given to the China Mail in April 1919, the chairman of Hongkong Tramways Company observed that it was not the fault of his company that no trams operated on the Kowloon Peninsula. Detailed proposals had been submitted to the government in 1913, 1914, 1916 and again in 1918: on each occasion they were unable to secure permission to run trams in Kowloon.